Nightshade will available on October 25 from HarperCollins books. Cycle, Book 4 simply titled Inheritance. 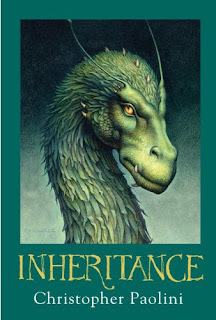 Book summary (from Goodreads): Not so very long ago, Eragon—Shadeslayer, Dragon Rider—was nothing more than a poor farm boy, and his dragon, Saphira, only a blue stone in the forest. Now the fate of an entire civilization rests on their shoulders. Inheritance will be available on November 8 from Random House. 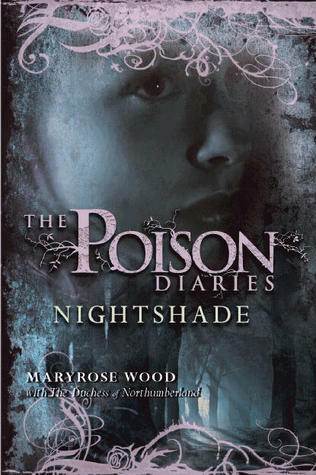 I like the cover for The Poison Diaries. It looks so much darker than the first book. I didn't even realize Poison Diaries was a series. I still have the first book sitting on my shelf, I'll have to get my hands on that one when it comes out. Kayla, I hope you enjoy it! Great picks! I haven't heard about the first book, but I'll be checking it out! Happy Reading! Here's my WoW!